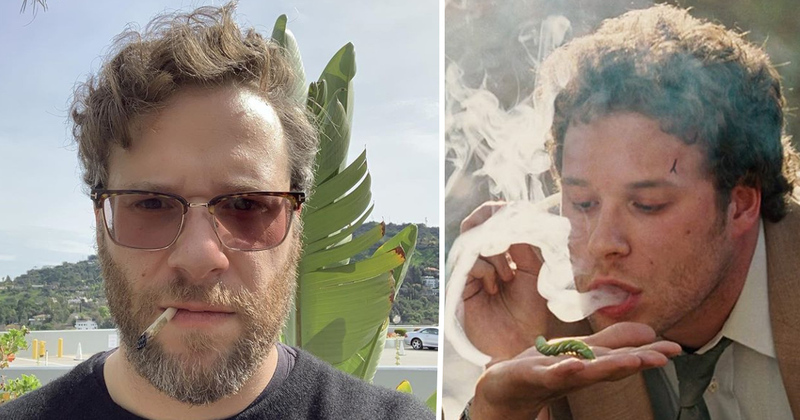 Seth Rogen has teamed up with his longtime writing partner Evan Goldberg for a very different sort of business venture. Responding to the legalization of recreational cannabis use in Canada, the comedy duo behind the likes of Superbad and Pineapple Express have decided to pursue another shared passion together: weed. Rogen and Goldberg are launching their very own Canadian cannabis company – Houseplant – in partnership with diversified cannabis and hemp company, Canopy Growth Corporation. Houseplant will reportedly sell strains of dried flower cannabis, softgel capsules and pre-rolled joints, with operations running from the Canadian city of Toronto. Although they may now be Hollywood big shots, both Rogen and Goldberg both grew up in Vancouver, Canada, making this business move particularly meaningful to them. Every decision we’ve made for the business reflects the years of education, first-hand experience and respect we have for cannabis. After spending five years diligently preparing for the launch of this company, we’re excited to be able to share our passion for cannabis with Canadians in this way. Tweed – a subsidiary of Canopy Growth – have previously worked with Snoop Dogg to create his ‘Leafs by Snoop’ brand, with strands such as ‘Ocean View’ and ‘Palm Tree’ reflecting the hip-hop legend’s Californian roots. Rogen and Goldberg have expressed a strong sense of corporate responsibility when it comes to selling their product, with an emphasis on providing an ‘overall consumer education’. As leaders in cannabis, we also have an obligation to build an industry that commits to changing everything that’s been wrong about cannabis. We are aware of the racial injustices that exist and will work closely with other industry leaders, legal teams, politicians and non-profits to help those unjustly incarcerated. The first strain of Houseplant weed – Houseplant Sativa – can be purchased as of early April 2019 from provincially regulated retailers, as well as online, in British Columbia. This will be followed by the Houseplant Hybrid and Houseplant Indica strains later in the year, along with softgels and pre-rolled joints. These will reportedly soon be made available throughout Canada. Anyone else getting more and more tempted each day by the prospect of making a new start in beautiful, easy-going Canada?